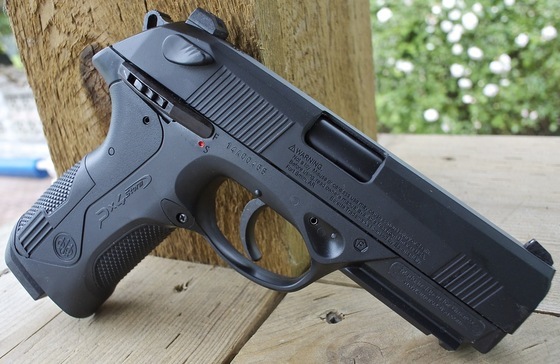 I originally reviewed my first generation Umarex PX4 Storm CO2 Blowback Pellet Pistol back in August of 2010. 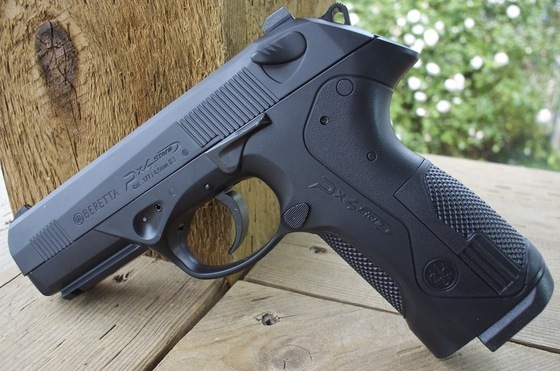 Mine was actually one of the first PX4's to come into Canada. Since it has been almost 4 years since I first got my hands on this pellet pistol, I though it might be worth taking a revisit of it and comparing a first generation version to a current generation version of the Umarex PX4. Cosmetically they are really close, I found it hard to tell them apart visually, My first generation had perhaps a slightly lighter colored slide? Other than that they look identical. When I loaded them both up with pellets I did notice that my 4 year old PX4 magazine was tighter in terms of loading the pellets, So in other words, the new Umarex PX4 magazine has slightly larger diameter holes. I don't think this really made much of a difference while shooting, it's just a bit easier to load the newer magazines. In terms of shooting performance, both Umarex PX4 Storms performed very similarly, getting almost the exact feet per second rating on my Chronograph. (First generation had 363 average fps versus current version with 357 average fps). By the way I was using 7 grain flat head RWS pellets for both my Chronograph and target testing. Both pistols also shot really nice groupings, form side to side there was about a 1.5 inch spread but vertically the groupings seemed to get more into around the 3 inch spread range. This could be perhaps because of shooting heavy grain pellets and the variation in fps which will make a heavy grain pellet drop a bit. My first generation PX4 did seem to shoot a bit higher on target then my current generation PX4 which seemed to like to shoot right in the bulls eye area. Both pistols have a really nice snappy and hard hitting blowback action especially using a new CO2, they are also a bit on the louder side so be aware of this when shooting in residential areas. You can expect to get around 4 decent magazines or 64 shots per CO2 but there will be some power drop near the end of the CO2. 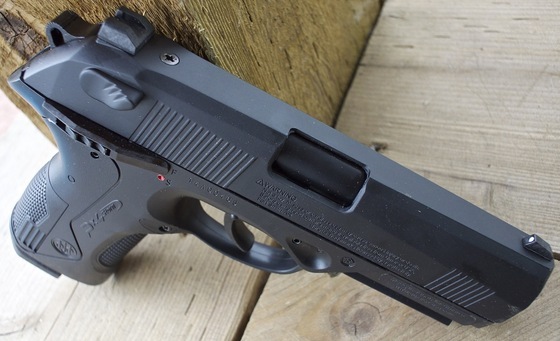 Overall the Umarex PX4 Storm CO2 Blowback Pellet Pistol is a great looking replica of the real steel PX4 and also performs very well in terms of power, accuracy and shots per CO2 for such a hard hitting blowback pellet pistol. It is is also one of our best priced Pellet Pistols in my books for value versus cost spent.